Brazil has decided to open its borders to all Haitian migrants, illegal or not. MINUSTAH's mandate renewed for an additional year. It is easier for Haitians to emigrate to Brazil than to go as tourist. Visiting the newspaper Le Nouvelliste Tuesday, Fernando Vidal, the new ambassador of Brazil in Haiti, has elaborated on his country's migration policy vis-à-vis Haitian nationals who wish to immigrate to the land of Pele. All Haitians are welcome in Brazil, according to the ambassador. Arriving with a legal visa, such as those present at the borders of Brazil undocumented. All Haitians will be accommodated, integrated and find employment aid. Their children born on the soil of Brazil are Brazilians. Them, they may request Brazilian nationality and bring their families. Every Haitian wishing to emigrate to a foreign country has a promised land that opens her arms: Brazil. The South American giant has decided to open its borders to all Haitian nationals without restriction. " Even if all 10 million Haitians decided to go there?" a reporter asked the diplomat. " There is no ceiling, no requirements, no coercion ", said the ambassador Fernando Vidal. Brazil is willing to grant visas to any Haitian wishing to live or work within its territory. The announcement appeared a bit surreal. Too good to be true. It was then, that the ambassador has explained the situation. This is a provision taken under the presidency of Lula Da Silva, which is still in force under the presidency of Dilma Rousseff. Any Haitian that wants to travel to Brazil only has to present at the Brazilian visa reception center with his or her valid passport and a certificate of good conduct, within a period of four to eight weeks, (s)he will receive a Humanitarian visa residence valid for five years. Asked about the long lines in front of the Brazilian embassy in Petion-Ville, Ambassador Vidal explained that this will cease. For two reasons: a reception center has been opened in collaboration with the International Organization for Migration (IOM) in Tabarre and especially the number of visas to be granted per month will increase from less than two hundred to nearly two thousand visas a month. The ambassador explained that Haitian nationals benefit unconditionally of a humanitarian nature residence visa to settle in Brazil. This visa is valid for five years, gives Haitian migrants access to basic needs in the country of Lula Da Silva. Soon arrived in Brazil, Haitians are automatically entitled to health care, to a residence card and a certificate allowing them to work legally in the country. Those who arrive at the borders, through the dangerous road of the jungle are provided free transportation, leading them to major agglomerations such as Sao Paulo where job opportunities are more obvious. It should be marked that all Haitians arrived illegally in Brazil through the Brazilian border post is automatically enrolled in the process and their status is legal. It has the same rights and benefits as those who arrive with a visa obtained in Haiti, reassures Ambassador Vidal. In recent years, Brazil is one of the favorite destinations for Haitians. Every day that passes, visa applicants were more and more to the building of the hexagon in Petion Ville. Those tempted by the Brazilian adventure are becoming more numerous. More than sixty thousand Haitians currently live in Brazil. Visa applications are increasing every month to an extent where the embassy had to move a special office receiving such requests. Logistical difficulties had limited consular services in the delivery of visas. Compatriots, determined at all costs to tread Brazilian soil, prefer to organize the smugglers. They are willing to go through all of South America and the Amazon to arrive in Brazil. " One of the objectives of Haiti's Minister of Foreign Affairs is to reduce this illegal traffic where people pay a lot of money to make the trip ", said the ambassador, encouraging Haitians to take the legal path. "You do not need to have a job and neither have to guarantee us that you will have one, it is our policy to welcome those who want to live with us ", said Ambassador Fernando Vidal, who presents Brazil as a land of welcome. The diplomat told Le Nouvelliste that the Haitian workers has the odds in his country. In Brazil, there are even companies that specialize in the hiring of Haitian workers. " Companies like to hire Haitians. Haitians in Brazil have the reputation of loving work, do their job, be punctual and regular " the ambassador said. The Ambassador presents Brazil as a country where people like to receive, where we cultivate the curiosity of the other. After all, Haiti and Brazil are very similar culturally. There are points of resemblance between Haitian vodou and Brazilian Candomble, for example. Naive painting practiced in both countries and Carnival are among other elements that bring the two countries. As for football, do not talk. The integration is not so difficult for Haitian migrants. Even the language is not a barrier. Haitians control portuguese quickly and Brazilians are discovering with them Creole and French. Haiti has for many years a special decision of the National Immigration Council. This decision, which has just been renewed early this October, gives Haitian migrants a special status. " Whatever Haitian citizen who reports for Brazil, (s)he receives automatically permanent immigrant status with humanitarian character", said the ambassador, according to the Brazilian state representative to Haiti, today Brazil wants to give priority to Haitian and some Syrian migrants. According to the legal provision in force in Brazil for Haiti, all Haitians arrived in Brazil in recent years have been welcomed, integrated and, in their dock all, found work. The children of Haitians born in the soil of Brazil are Brazilians. 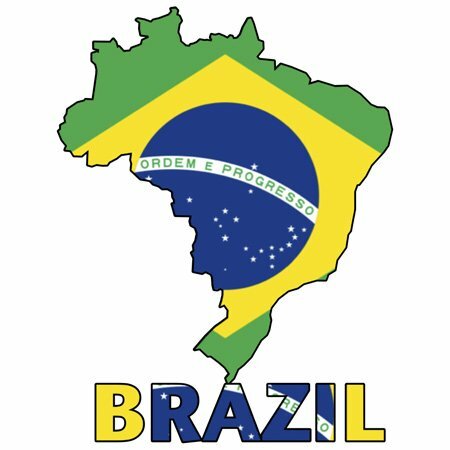 Parents can ask for Brazilian nationality. A member of a Haitian family installed in Brazil can bring other members of a family clan. Haitians married to nationals of Brazil rapidly acquire Brazilian nationality. The legal status of Haitians in Brazil is so enviable that many migrants from french speaking African countries, pretend to be Haitians when they arrive in Brazil, said Fernando Vidal ambassador. The migration policy that the economic giant of Latin America has adopted in favor Haitians migrants is even better than the "Wet feet, dry feet policy " which the United States has adopted in favor of Cuban migrants, where anyone who fled Cuba and entered the United States would be allowed to pursue residency a year later. Brazil's model gives immediate residency.